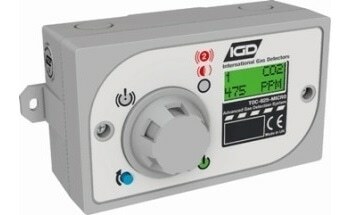 IGD provides bump test kit(s) to permit periodic testing your gas detector alarms in addition to your cause and effects. Bump tests should be carried out in the same way as a conventional fire system, concurrently with fire drills. 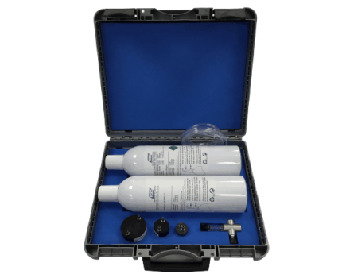 Please note this bump test kit should only be used for bump testing Fixed CO2, CO, Flammable and O2 sensors. Furthermore, please note that bump testing is only testing to make sure the detector is reaching its alarm levels, responding to gas, and working correctly, it is not a full calibration or service. 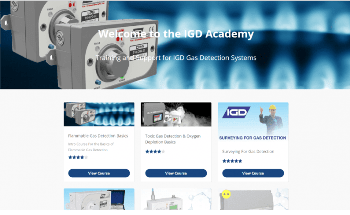 IGD provides technical calibration kits for use by trained IGD Engineers to carry out a full system calibration. 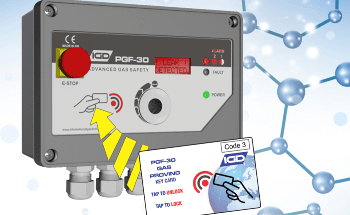 Every 6 months the system must be calibrated by a trained IGD engineer. 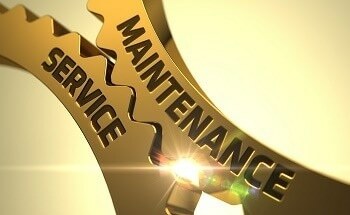 IGD provides a flexible service contract to best suit your requirements. The bottles provided are 1 L water volume cylinders usually containing 12 L compressed gas for 6 or more tests. 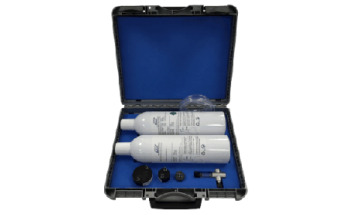 Each kit is supplied with a bottle of bump test gas and zero gas, usually pure nitrogen. Kits are supplied with a full set of IGD detector bump gas adaptors, flow valve and hose. In addition, the set is also supplied in a storage carry case.